With a fleet of 63 aircraft soaring over vast distances of rural and remote Australia, the Royal Flying Doctor Service delivers vital primary health care and emergency services to about 290,000 people each year. Whether you’re at 20,000 feet or on the ground in remote locations, nursing with the RFDS is a dynamic and rewarding career choice. Emergency and flight nursing are the loves of Judy Whitehead’s professional life. “I can’t imagine doing anything else,” she says. “I like the autonomous role as well as the challenges of dealing with patients as an isolated practitioner. Judy has worked for the Royal Flying Doctor Service (RFDS) for 23 of the 30-plus years she has spent in nursing, and she is also the president of Flight Nurses Australia. As a flight nurse, Judy has worked at Port Augusta, Alice Springs and Adelaide and is now the nurse manager at the RFDS south eastern section, an area that covers 640,000 square kilometres across rural and remote New South Wales, including Dubbo, the Cooper Basin oil and gas fields in north eastern South Australia, and south west Queensland. Based at the RFDS’ in Broken Hill, Judy’s role includes coordinating health quality for the section and she maintains roster capability across all bases. Judy says aero-medical nursing covers the entire life span from birthing babies to end of life care. “We see a broad range of patients and conditions such as medical and palliative care patients to critical care and trauma patients and obviously there’s the occasional baby as well, which is lovely,” she says. The work involves both inter-hospital transfers as well as primary response. First established in 1928 as the Australian Inland Mission Aerial Medical Service in Cloncurry, Queensland, the RFDS is now renowned as one of the largest and most comprehensive aero-medical organisations in the world. The not-for-profit organisation employs about 1100 staff at 22 RFDS bases, five RFDS health facilities and 10 other facilities across Australia. 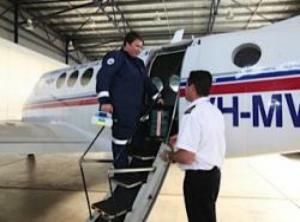 The majority of nurses working at the RFDS are flight nurses with the retrieval services. Flight nurses are highly qualified in areas of critical care, such as emergency and intensive care, and are also certified midwives. The organisation also employs nurses, ranging from mental health nurses to practice nurses and nurse practitioners, for its primary health care services. Linda Cutler, health services general manager with the RFDS south eastern section, says the organisation offers midwifery scholarships for nurses with a critical care background wanting to move into flight nursing. Ms Cutler says the RFDS has attractive remuneration packages, with not-for-profit sector tax benefits, and covers a part of nurses’ relocation expenses while the service also offers some study leave. She says alongside the employment benefits, most nurses thrive on the diversity of practice. “I think it is attractive to people who have the confidence to be a sole practitioner because it is that type of practice - you are the flight nurse on the aircraft, and a large number of our retrievals we do flight nurse only retrievals,” she says. “The medical officers go at certain levels of acuity but the flight nurses often go on their own. “The thing that I get back from my flight nurses is that they feel they really make a difference, they offer a service to people who in times of need just couldn’t access it any other way. Judy, who was this year awarded the CRANAplus Aurora Award for outstanding contribution to remote health, says flight nursing enables nurses to take in some incredible sights of Australia. “In an aircraft, we can cover huge distances in a single shift, so we have got ever-changing views out of our office window, which can be very spectacular,” she says. Aside from caring for patients, Judy says flight nurses also have to deal with issues that affect the planes, from weather to wildlife. “Everything is about safety,” she says. “We always have issues with weather. I’ve been in an aircraft in the Territory where we had fork lighting and fortunately it was some distance from the plane. “It was very spectacular but not good weather to be flying in because obviously we don’t want a lighting strike into the engines. Kangaroos, stock and other wildlife can also pose a risk to the planes, particularly during take off at dusk and dawn. “We often have someone there who does a ‘roo run’ to make sure there are no wildlife or stock or anything on or near the runways,” she says. “I’ve been on board when we’ve hit kangaroos and fortunately we had no patient on board. Judy says pilots often work with flight nurses as a second set of hands. “I laughingly say that in an emergency when there’s only myself on the aircraft - the last person I want to see at the back with me, when the propellors are running, is the pilot,” she says. “On the ground, I’m more than happy to see them because realistically flight nurses don’t work with our fellow nursing colleagues but you do work with your pilot. “They act as a hunter and gatherer in bringing equipment to you or opening a pack so you can get something that you need. “We can normally get the pilot to document things for us - so we’ve got a time and a drug dose and a drug which you can write up properly later after you’ve stabilised the patient. While she relishes the unpredictable nature of the work, Judy says it’s far from glamorous thanks to the extreme temperatures, when the mercury can reach 45 degrees. Judy says the rewards of flight nursing are immense, and there’s much more to the role than attending trauma incidents. “People may see that really critical care element as being the focus but one stand-out moment for me was this beautiful lady who had two different rare cancers,” she says. 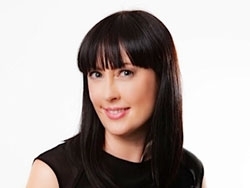 “I’d taken her on several trips to a tertiary centre in Adelaide and I had the privilege of taking her home for the last time when there was no further treatment they could offer this woman. “We were on descent and she started to cry and I started to cry - it was just a privilege to be there. “It wasn’t an emergency flight as such but it was a really important flight - a really, really important flight for her,” Judy says.